1(760) 366-4745 or Email us Click here! After some stretching, bouldering and a review of the Basic Rock Climbing 1 fundamentals, it's back to the ropes for some top-rope protected free climbing and rappelling. As you continue to refine the rock climbing basics, you'll encounter new and varied climbing opportunities and be exposed to more challenging terrain. We will climb an assortment of routes utilizing some of your newly developed climbing skills; face climbing, smearing, edging, palming, hand jamming, laybacking, chimney. Knowing how to get down from the top of a rock safely is a very important skill. 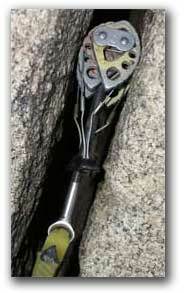 You will learn rappelling skills (descending via a rope) and practice them on rock up to 80 feet high. Students will begin to make and assess their own individual and traditional anchor type placements using modern camming devices and various types of passive nuts. 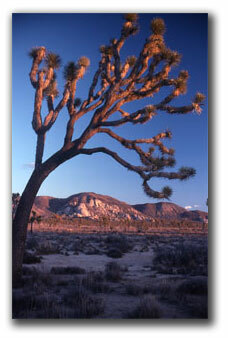 This is just another breathtaking day in Joshua Tree National Park to remember for a lifetime. Experience this place for yourself to capture the true essence of this desert wonderland. Cost: $195 To make your reservation, Click Here! complete and submit. You will receive a confirmation by way of Email within 48 hours. Maximum r atio is 6 students to 1 guide. Minumum of 2 participants to run class. Remember to bring your lunch, snacks, plenty of water, clothing layers appropriate for time of year, hat, cap, sunglasses, sunscreen, personal items, (optional) camera for the memories and a daypack to keep items together. 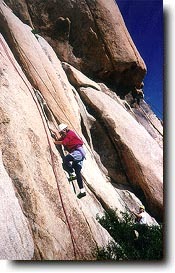 Dates are "Basic Rock Climbing II" classes offered on selected Sundays.